MedCAD adopted PEEK polymer mid 2011 as a foray into the niche market for custom cranioplasty implants. 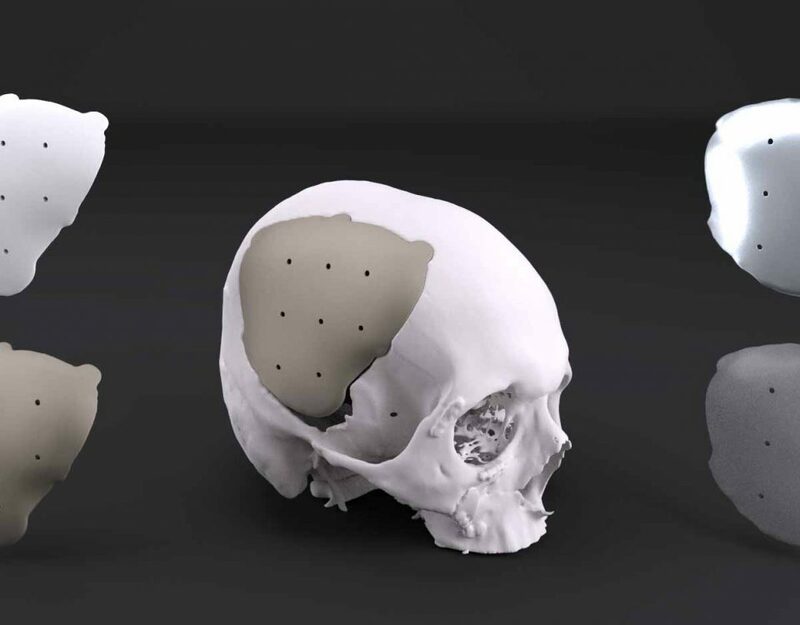 Big players like Biomet, Synthes, KLS Martin, Osteomed and Stryker maintain a large market share in part through reliance on smaller, nimbler companies (like MedCAD) to navigate the patient-specific quality system needed for customized cranial implants. 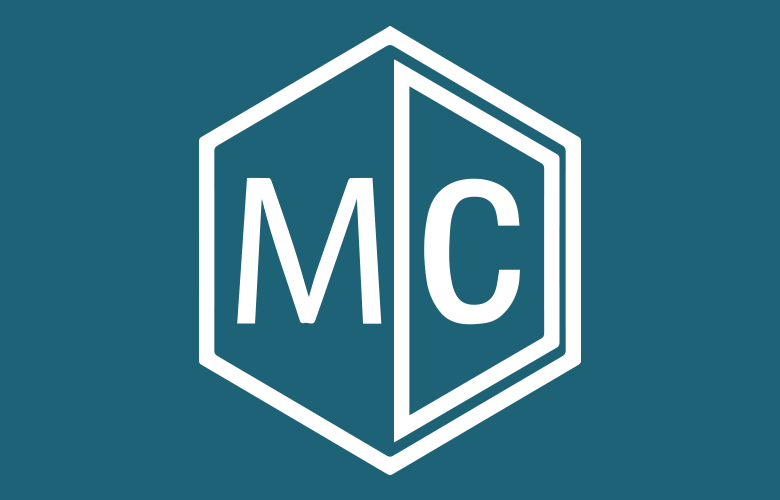 The majority of quality systems in the industry are built to support generic, non-custom, or semi-custom products, but MedCAD started with a focus on customized devices. These challenges to the market claimed their victims, specifically manufacturers facing difficulty in maintaining Class II medical devices through an effective quality system. Well-known PEEK implant manufacturers like Kelyniam and Osteosymbionics met complications in the custom cranial implant market in late 2016 / early 2017. While the final status of these respected businesses may be speculated, the principle remains: patient-specific devices are best complemented by patient-specific systems. MedCAD capitalized on the advantages of PEEK through a developed customization workflow, much to the success of the AccuShape product line and its adoption by larger suppliers throughout the market. Though PEEK shares the market with other materials like PMMA, ceramic, and titanium, its optimal (and customizable) characteristics remain a fundamental reason for MedCAD’s continued success as a cranial implant manufacturer. Our PEEK implants require a patient-specific system capable of meeting customer-specific needs. The material is comparable to cortical bone, but with greater tensile strength – so the part is delivered customized with minimal operating room modification. Compared to autologous bone, synthetic cranioplasty implants reduce the risk of “complications and associated morbidity”¹ while patient-specific implants “reduce surgical complexity, decrease operative times, minimize exposure and risk of contamination, and have resulted in improved aesthetic results.”² PEEK, specifically, has a complication rate less than its Titanium competitors³, making it ideal for cranial implant procedures. It’s important to consider the risks of an outsourced product when distributing it and the company’s ability to deliver. For example, different manufacturing methods impact the sterilization implications of customized implants. Implants made through additive manufacturing processes introduce a risk of porosity which can affect autoclave and sterilization outcomes. By nature of the 3D printing process of PEKK (granular, powder polymer similar to PEEK), the manufactured part is porous with increased risk of retaining bioburden. MedCAD makes AccuShape Implants through a subtractive manufacturing process that does not introduce porousity into the material’s composition, and as a result provides better surface exposure for steam sterilization. Not all medical device suppliers outsource their PEEK implants, but many larger suppliers like Biomet and Synthes are located in Europe and require several weeks to deliver a product from an initial order. Alternatively, for cases requiring short timeframes, MedCAD can deliver expedited implants in as little as 24 hours*. Standard cases take 4-5 business days. Distributed and used nationwide, MedCAD PEEK implants meet impressive time-sensitive delivery dates. MedCAD remains a favored OEM supplier of PEEK Implants to some of the largest implant suppliers in the world due to a nimble quality system, a commitment to customer service, and consistent delivery of safe and effective patient-specific devices. MedCAD’s AccuShape product line provides value to the industry by making the customized implant process easy, timely, and effective. Competitors like Osteosymbionics and Kelyniam had the right idea of speed and material as niche patient-specific implant manufacturers, but faced administrative challenges beyond their products. In a culture of quality and innovation, MedCAD delivers patient-specific products met with customer-specific care. To learn more about distributing MedCAD products, visit our distribution page. 1. Complications following cranioplasty using autologous bone or polymethylmethacrylate–retrospective experience from a single center. Bobinski L1, Koskinen LO, Lindvall P.
Comparison of polyetheretherketone and titanium cranioplasty after decompressive craniectomy. Thien A1, King NK2, Ang BT2, Wang E2, Ng I2. *Expedited delivery requires a CT that meets our protocol by 9am CST, a complete Service Request, and rapid surgeon approval. Expedite eligibility is discretionary and may also incur added cost. All respective company names are copyright by their owners.